The popular service could become the web’s de facto home for open data according to The Atlantic. Note: Read the article on their website for complete quotes and pictures. I am putting a small copy of a reduced set her for archival purposes as this speaks to one of my annual resolutions. I am playing with the idea of using Jekyll in one of my classes, and even in writing using GitHub and seeing where it takes me. 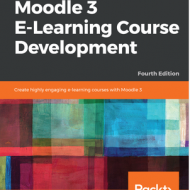 I am committing to learning and using it more than I do, maintaining my Moodle server and so forth. I am still only scratching the surface of GitHub and not finding I like how little I know and use it. It is as if I have condemned this service, which I know to be seminal, to the island of products to pass over. We’re living in the age of Github. The company — which has the same name as its central product — emits a certain species of unalloyed nerd good. It’s the kind of software people spend their lives in — and it’s the kind of software the shapes how people think. Now they’re making a play for nerds who don’t write code. So, Github is a singular phenomenon in the world of code. But three features it’s launched in the past year indicate it’s moving beyond that world to other quantitative domains. But this year, it’s begun to represent more than just text and images. In April, the website began rendering STL files, a file used by 3D modeling software, in 3D. Instead of seeing a series of numbers and descriptions, Github users would now see the object those data described. Earlier this summer, it began representing certain kinds of geographical data, not as text, but as maps, with the help of the Washington, DC-based startup Mapbox. And, on Thursday, it began displaying tabular data, described in text, as tables. "Tabular data described as text" may sound like an obscure phenomenon, but it’s not: Excel easily exports either of the two file-types Github can now display. Today’s feature means any Excel file (or at least, any Excel file without internal equations) can enter the domain of Github. Their latest move to easily allow people to render maps in git repositories blew my mind because it begins the transition to a more interesting audience. There are two obvious steps for GitHub here: the first is creating viewers for other kinds of files — like perhaps the csv. The second one — and the one that GitHub is very well suited for — is showing the diffs. Check out that last link, and imagine what’s going to happen… when you start isolating the differences between two versions of a CSV. The interesting stories in data aren’t in the rows, they’re in the differences between them. And I think GitHub is getting ready to make as much of a play in data as it has in code. Johnson nailed it, and it’s easy to envision the rest of Github’s feature set, especially version- and change-tracking, coming to models, maps and tables. Even before yesterday’s news, organizations had already uploaded tabular data to Github: they just didn’t expect it to look like tables. (Organizations uploaded maps before the site could render maps, too — organizations likethe City of Chicago.) Github, with its feature set and pre-existing large user base, could become the de facto home of data posted to the Internet.